Now that wedding season is in full flux, you’re probably finding yourself prepping for the big day. If you prefer a contemporary look over traditional styles, why not top it off with a mixed-metal engagement ring? Your wedding aesthetic is rooted in your personal style, and your ring should reflect that. And if you simply can’t choose between the gold, rose gold, platinum or silver, a ring combining each of those is perfect for you. Not only will your engagement ring garner the best kind of attention as you plan your nuptials, but it’ll also be unique. Whether you want to keep it simple and timeless with a solid band in one metal and a setting in another, or would rather opt for something completely unexpected, we rounded up some of our favorite mixed-metal rings that’ll fit your bridal style seamlessly. Check them out now. The details in this ring are so delicate. You won’t be able to stop staring at your finger with this ring. 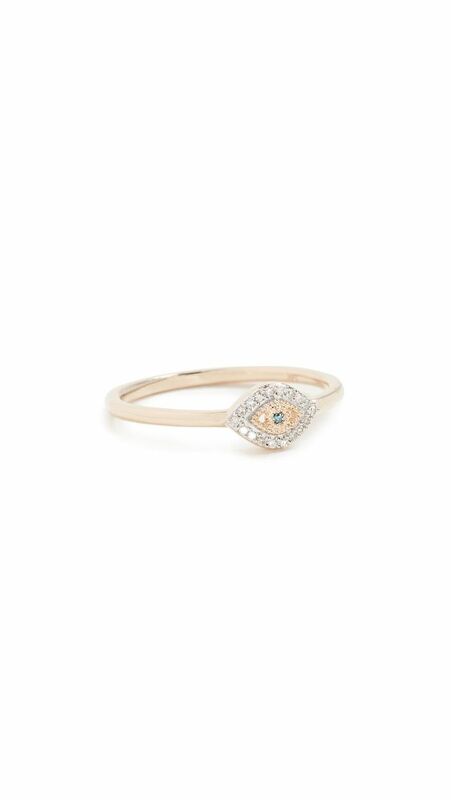 The shape of this ring alone has us swooning. A dainty ring for minimalists. A modern take on a classic look. Subtle and stunning, the shades contrast perfectly on this ring. This is not your average engagement ring. A bold ring for a bold bride. A yellow diamond is always in style. Layered rings always add intrigue to a look. You’ll never get tired of looking at this ring. This will feel so natural on your finger. For the bride who loves a contemporary look. This shape is a unique classic. A mixed-metal ring like one of these will feel like it was made specifically for you.